Potatoes are probably one of the most versatile vegetables on the planet. They are grown on every continent except Antarctica, and they are able to grow in almost any condition. There are also countless ways of cooking and preparing them. The potato can be baked, boiled, broiled, fried, scalloped and the list goes on and on. Potatoes are one of the world’s most important crops. Potatoes were first cultivated in Peru. Potatoes were an important food source for the ancient Incans. They could grow and store potatoes at elevations over 10 00 feet. Potatoes could be frozen and stored and would not spoil or lose their food value. 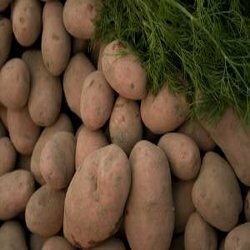 The potato had become a staple of the Irish diet by the early 1800s. In 1845 and 1846 the potato crops in Ireland were destroyed by a fungus. The result of this devastation was a widespread famine, which became known as the Irish Potato Famine. During this time many families immigrated to the New World.